KeepVid has been a very popular online video downloader for years now. It enables you to download videos from YouTube, Vimeo, Facebook, Lynda, Dailymotion, etc by simply copying and pasting the URL. But the bad news is, KeepVid has recently announced to stop providing its online video downloading services. Its official website only shows some tips and tricks for video download solutions. For those who really rely on KeepVid now must be busy looking for a good alternative to KeepVid, just like Jenney Smith from Quora. Therefore, we’re going to introduce five best KeepVid alternatives for you to download free videos from YouTube and other online video websites. Joyoshare Screen Recorder for Windows (or Joyoshare Screen Recorder for Mac) is an easy-to-use yet powerful screen recording tool that is capable of recording any video and audio activities on your computer in high quality. For instance, it can record any video that you’re watching on YouTube, Vimeo and other online websites. Thus, it has become one of the best alternatives to KeepVid. It’s very easy to download video from YouTube or other streaming videos. Just open Joyoshare Video Downloader first, set the video recording area, and select the output video format and file folder and then start to record the video you want with only one click. 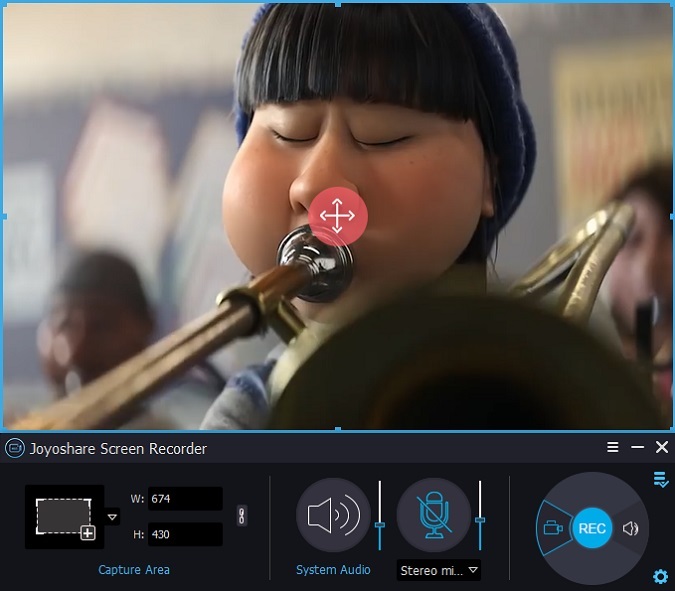 Joyoshare Screen Recorder enables you to customize the size of recording area, so you can set it as big as the player window and thus get a perfect video file you want. Besides, the video downloading software supports multiple file formats including HD MP4, AVI, MOV, MKV, FLV, SWF, WMV, etc on various mobile devices like Android, iPhone, smart TVs, game consoles and more. This is another good alternative to KeepVid. Freemake Video Downloader is a free YouTube video downloading tool that allows you to download videos not only from YouTube, but also from Facebook, Google, Vimeo, Twitch, Dailymotion, LiveLeak, Veoh and other 10,000 sites. In addition, you can download any video from online sites and save them in various formats like HD, 4K, MP4, 3GP, FLV, 3GP or convert web videos to FLV, MP4, AVI, MP3 and so on. Freemake Video Downloader is one of the fastest YouTube video download apps, which only takes 4 minutes to download a 2-hour full HD video. Clip Converter is a free online video download website and it’s also a good alternative of KeepVid. Although it is not as popular as other video downloader, it still offers competent video downloading functions. Just enter the YouTube video URL to the search box and then start to download the file. You can download the video from YouTube and then convert it to many different formats as you wish, such as MP4, MP3, 3GP, M4A and so on. You can save it on your computer in these formats for watching in the future, or just save it online to share it with your friends on the social platforms. Another best alternative to KeepVid is VidPaw. It is also a free online video download site that allows users to download free videos from YouTube, Facebook, Instagram and more. What you need to do is just enter the target video URL to download the file. Before you click the “Download” button, you can choose any format you desire, including WEBM, 3GP, MP4, etc. You can also set the video quality among 144p, 240p, 360p, 720p, 1080p, 2K, 4K and 8K. And then your video can be downloaded within just a few minutes. Video DownloadHelper is a useful add-on for Firefox web browser. It aims to extract videos, audios and image files from websites and save them to your computer. The tool is very easy to use. Just add this extension to your Firefox browser and then surf the website as you usually do. When DownloadHelper detects it and finds something could be downloaded, the icon get highlighted to mention you to download files you want. 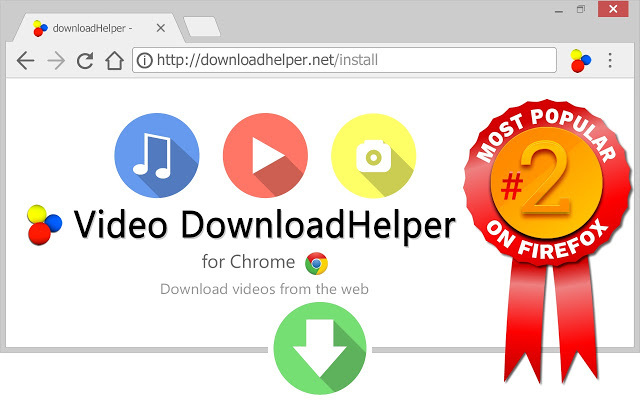 Video DownloadHelper allows you to download any videos from YouTube, Dailymotion, Vimeo, Facebook, Twitch, Liveleak, Vine, UStream and other hundreds of online video sites. Users can also setup the add-on to make it convert all the downloaded videos to your preferred format automatically. Although KeepVid has shut down its service, former KeepVid users still can get best KeepVid alternatives as discussed above. We have listed the pros and cons of all these video downloading tools, so that you can find one that can fully meet your needs. No matter what kind of the video downloader is, free or paid, as long as it fulfills your demands and solves your problems, and it would be the best one.